The Prophet X VCO Sample Pack is a community effort to bring classic VCO sounds into the Sequential Prophet X as user samples. Long unfiltered samples were captured for every key across a 73-key range from C0 to C6 to reproduce the natural variation of each instrument. A variety of configurations appropriate to the source were used to reproduce a range of useful raw oscillator sounds. The pack currently includes four instruments: Behringer Neutron, Sequential OB-6, Dreadbox Erebus, and Moog Voyager. The final keymap routs a dual sawtooth configuration externally through a Moog Mother-32 to layer yet another sawtooth wave for additional thickness and variety. These keymaps showcase a discrete design manufactured by Sequential as a collaboration between Dave Smith and Tom Oberheim as a callback to classic Oberheim sounds. The Dreadbox Erebus has a classic character that is closer to pure mathematical waveforms than anything else in this pack, tending toward bright, aggressive tones that are consistent in amplitude across the keyboard. The unit sampled here is a version 2 model. This particular Voyager has the slew rate mod which brings a little more high end content to the raw oscillators of this classic synthesizer. Its character is achieved by taking substantial liberties with the wave shapes. Looking for a very soft muted triangle, a nasal sawtooth, or a bright buzzy square? This is the one. Make *certain* you're on the latest Prophet X firmware prior to installation. System updates performed using SysEx do not completely update all aspects of the system and should be followed by a regular OS update using Sequential-provided .bin file. Owners have encountered issues with versions as recent as 2.0.0.0.1, so a later release is recommended. Version 2.1 was in beta as of this writing and can be downloaded by members of the official forum at The Official Sequential/DSI Forum - Index. The u02 directory corresponds with the sample group User 3. The directory name can be changed to control which group the installation occurs in, but it must be one of u00, u01, u02, u03, u04, u05, u06, or u07. These correspond to the groups User 1-8 for reasons only a software engineer could love. Thanks to the GearSlutz.com community for the collective interest in getting this project started. The first step was taken by [MENTION=307144]blewis_13[/MENTION] in providing his Neutron VCO recordings and following up with the Voyager. OB-6 and Erebus samples were contributed by [MENTION=298357]AlanC3[/MENTION]. Sample editing, looping, and packaging by [MENTION=398507]Lady Gaia[/MENTION]. The content of this sample pack is provided AS IS with no implied warranty. Install at your own risk, knowing that you accept full responsibility for resolving any issues that may arise. - Renamed the collection to "VCO Pack"
The newly added Dreadbox Erebus and Moog Voyager bring some wonderfully distinctive characteristics to the mix. The Dreadbox has a classic character that is closer to pure mathematical waveforms than anything else in this pack, tending toward brighter aggressive tones that are consistent in amplitude across the keyboard. This particular Voyager has the slew rate mod which brings a little more high end content to the raw oscillators of this classic synthesizer. It brings a ton of character by taking substantial liberties with the wave shapes. Looking for a very soft muted triangle, a nasal sawtooth, or a bright buzzy square? This is the one. The link to download doesn't work. and I have a question: I have a prior version of these samples installed (the Neutron and OB-6)... I have some programs that I made based on these. Should I delete the entire user bank and re-install this set to the same bank number? Also, are these samples looped? When playing them in the PX, It seems smooth loop points were difficult to achieve (but I admit, that may well be user error on my part). Regardless, Kudos to you guys who have worked on this. It is great work and much appreciated by us all. 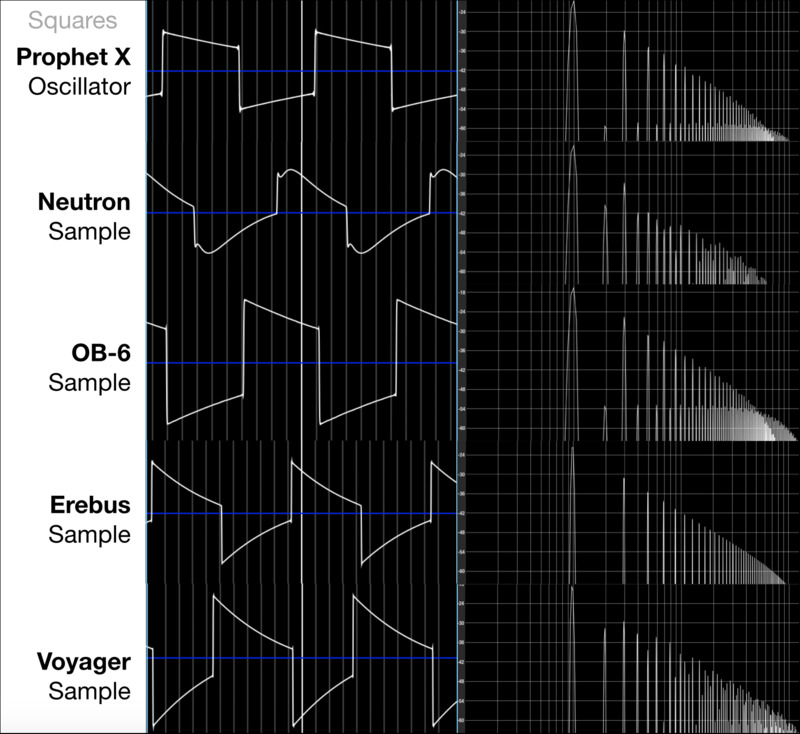 I have a question: I have a prior version of these samples installed (the Neutron and OB-6)... I have some programs that I made based on these. Should I delete the entire user bank and re-install this set to the same bank number? No need to delete the old ones. Contrary to what the message on the Prophet X says when you're installing to a bank, it doesn't appear to overwrite any sound sets that don't have the same numbers. You can install these just by putting the .zip in the 20's and 30's in the usual px > u02 > 15. Synth folder structure and doing the install with just the new samples. Presets appear to reference samples by location rather than name, so they're looking for eg: User 3 > 15 (Synth) > #03 as far as I can tell. Those #s won't change so you're good to go. They are all carefully looped. Using the PX interface you don't have much fine control, but sound packs can have sample-accurate loop points defined. I'm delighted to hear people are finding them useful. It has been a fun side project. So, Dropbox decided they didn't really want to provide a convenient hosting solution given the size of the content. Fair enough, but some warning would have been appreciated. Not to mention a reasonable path to recovery. Ah well, live and learn. The replacement site is definitely no work of art, but at least it's a functional workaround. 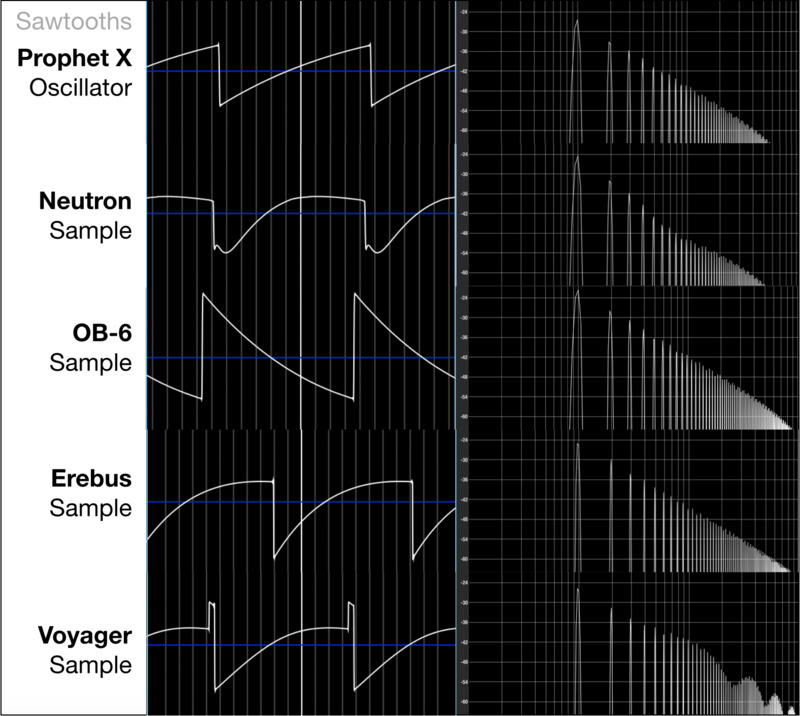 Click here to get access to the Prophet X VCO Pack released yesterday. Google Drive is pretty reliable. And free. Google Drive might have been a reasonable option but this was a perfect excuse to start putting together a better overall experience than a basic file download service. I've been meaning to put together a site to host projects like this, so why not now? I’ve thought of sampling the Prophet 12 for use in the PX... I’m on a Mac. Any suggestions as to software could I use to get good loops in the samples? Everything in this pack was trimmed, gain adjusted, and looped using SampleRobot. It's not the most intuitive or Mac-like application on the planet but it is very helpful and does a nice job of automatically finding loop points once you understand how the whole process works. Is the sample set size limit of 1.5 GB, is that a limit that the Prophet cannot exceed, or a limit for the Sequential / 8dio software sample editor? Can users create Add-on packs to load into that memory? and also so that you can create/load companion programs for your samples? As I understand it, that’s the limit for what a single keymap can contain. Terminology is problematic here, but what I’ve called a “keymap” is the set of samples you can select for one of the two Instrument slots in a layer. 8Dio’s software calls this a “sound set”. It’s a completely different limit from the amount of samples you can have installed at once. A user-created sample pack can have as many as 98 of these per category (Synth, Woodwind, Choir, etc.) so long as there’s enough disk space available. The Prophet X loads samples pretty quickly from the 200GB solid-state drive of which 50GB is set aside for user and commercial add-on samples. Not without changes to the firmware and I wouldn’t expect anything to happen there. Chances are there are 6GB of RAM set aside for loading two layers, times two instruments, times 1.5GB each. That’s going to be a physical limitation. It defines how many samples you can play at any given instant. Can users create Add-on packs to load into that memory? Definitely! That’s what we did for the VCO Pack using 8Dio’s Mapping Utility. ... and also so that you can create/load companion programs for your samples? Yes, but that gets slightly complicated because all programs (or presets in Sequential’s terminology) are stored in numbered slots and there’s no way to know what user programs are safe to overwrite. There are 16 reserved preset slots in the “A” banks for each of the 32 commercial add-on banks, but no similar provision for the eight user banks. Four synthesizers were stacked here. It starts with two detuned DCOs from a DSI Evolver hard panned in stereo as a foundation. A Sequential Prophet 6 contributes two VCOs alongside a subtle touch of noise, all centered to anchor the sound. 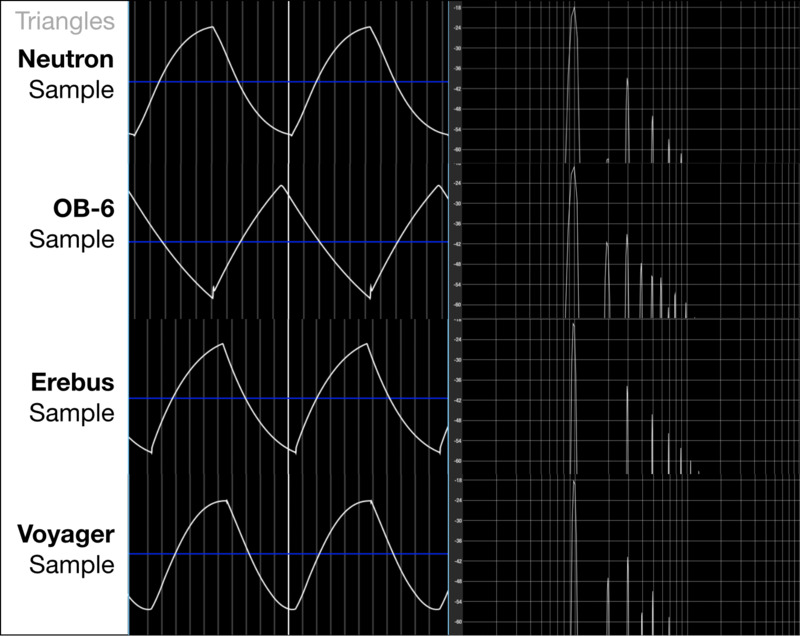 There are two Moog Voyager oscillators as well, offset from center with a subtle touch of filtering to give each side a unique character, accompanied by another hint of noise. Lastly, a Moog Mother-32 adds a seventh oscillator centered in the stereo field. The same configuration is used twice: once with seven sawtooths and again with seven pulse oscillators that have subtle pulse width animation applied. No need to reinstall the previous sounds, just download the new "Stacked OSCs" and install them into the same User Group. Despite warnings about overwriting, the Prophet X can add these to the existing group without replacing the earlier sounds. This is awesome! I really hope to see a Fairlight pack soon. I’d get that in a heartbeat. Okay, so I got very brave but no joy! I created the px directory at the root of the USB drive, I copied all of the .zip files to the u02 directory and then proceeded to update the user area of the PX. It did its thing of overwriting the 50 GB area but, when I go to group user 3, I do not see any instruments in any of the created groups. Help, help .... HELP. Thanks. I got it ... I needed to look under the group "synths" and all of my imported instruments are present and accounted for. Thanks for those who saw my initial post and said hummmm. Now, off to play with my new "synths"
Hello, I attempted to download this pack and extract it on my PC only to find blank folders. I tried another PC and had the same issue. The folders have no content in them at all. Has anyone else came across this issue? Totally blank? You use the word “extract”. Are you trying to open the zip archives? Try using the 7Zip (free) rather than the built in Windows .zip extractor. That worked for me. You mean you’ve been able to extract the individual samples?